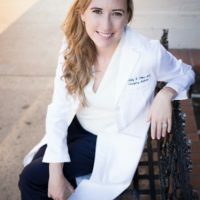 Ashely is an Emergency Medicine resident at the University of California, San Diego and a nationally published speaker and author. Ashely earned a degree in public health form Harvard School of Public Health, at their institute in Cyprus. During her year in Cyprus, she held a position in humanitarian affairs at the Unit for the Rehabilitation of Victims of Torture. After attending George Washington University School of Medicine in D. C., Ashely worked as a healthcare policy fellow for a U.S. Congressman. Ashely is the current president of the AAEM Resident Student Association (AAEM/RSA).